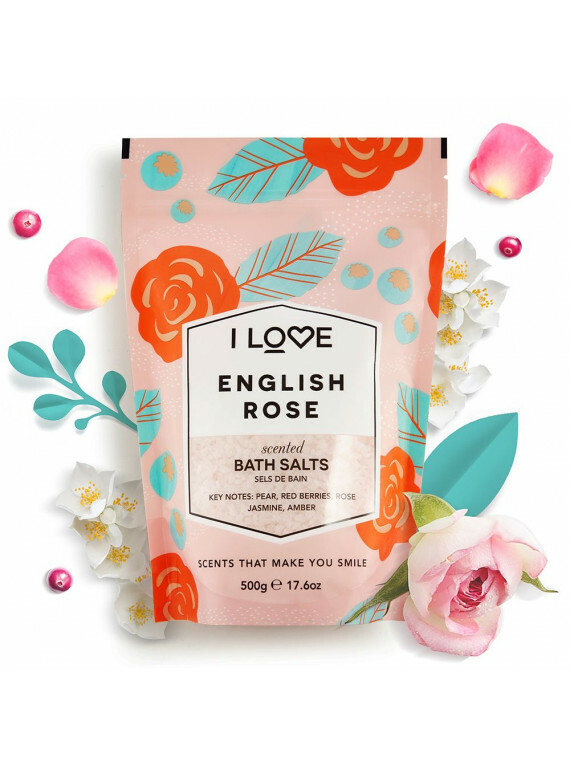 Relax and unwind in a soothing bath with our range of Signature bath salts. 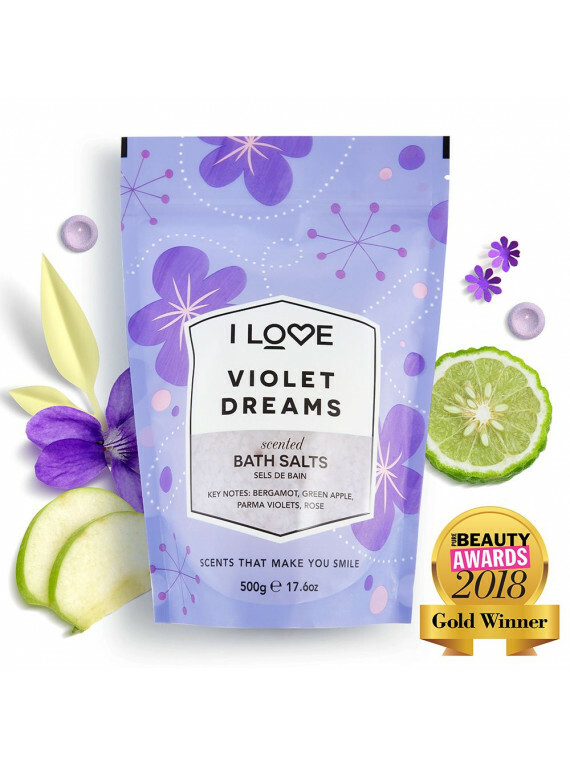 The award-winning Violet Dreams bath salts will melt away daily stresses with its ethereal blend of sweet and relaxing scents. 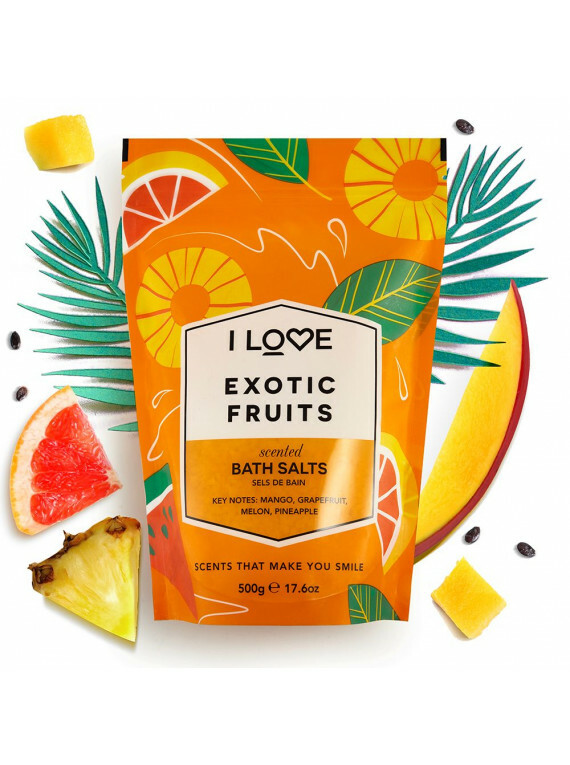 Whilst the invigorating Exotic Fruits bath salts will uplift your mood with tropical and zesty fragrance. 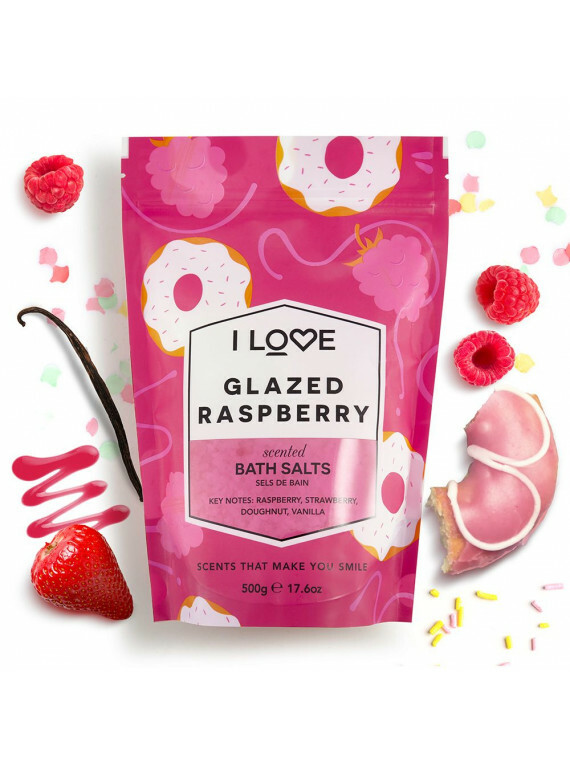 Made with 99% naturally derived ingredients and natural fruit extracts, the I LOVE signature bath salts are the perfect addition for any bath. Directions for use: Add 2 handfuls of salt into warm water & stir until dissolved. 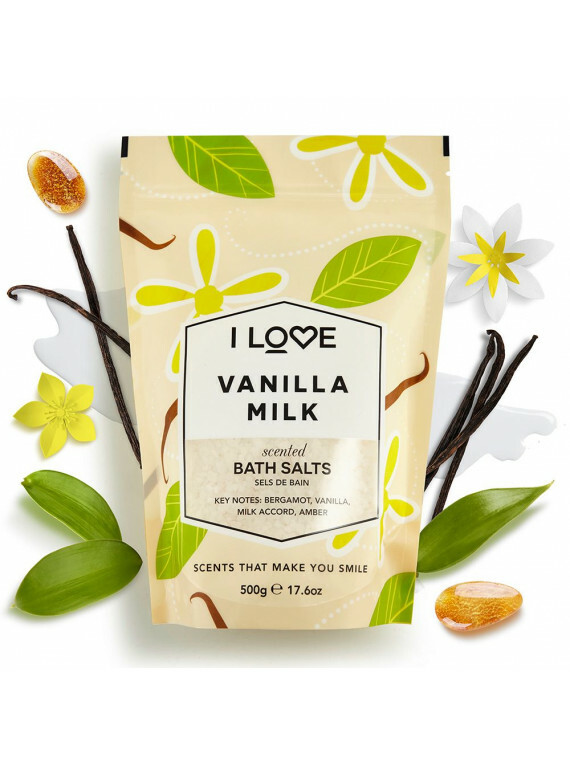 Relax & soak in a delicately scented bath for 20 minutes. 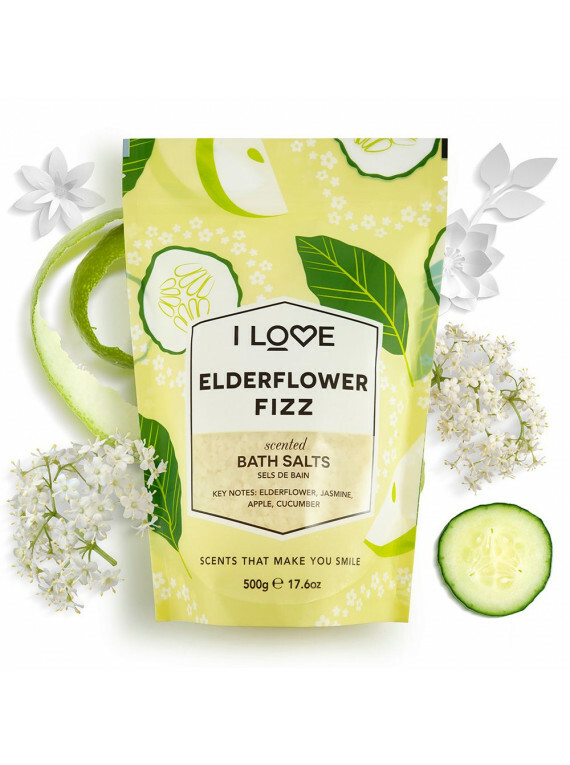 For a detoxification bath pour in the whole pouch. Cautions: Avoid contact with eyes. If the product gets into eyes, rinse well with warm water immediately. Do not use on broken skin.